The chair of the OECD's Working Group on Bribery in International Business Transactions said today Jody-Wilson Raybould's testimony on SNC-Lavalin compelled the group to speak out on allegations of political interference in the criminal case against the Quebec engineering firm. 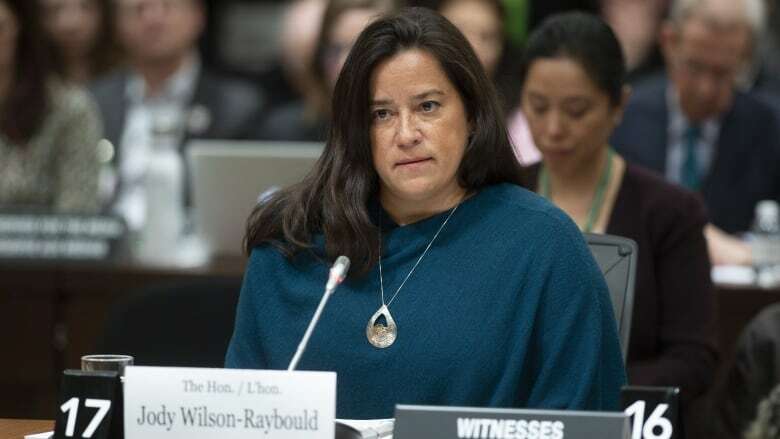 Speaking before the House justice committee on February 27, Jody Wilson-Raybould alleged that, as attorney general, she faced "consistent and sustained" pressure from senior people in the Trudeau government to interfere in the prosecution of SNC-Lavalin. The Canadian company was charged in 2015 with allegedly bribing Libyan officials. On Monday, the OECD released a statement saying that it would be watching the SNC-Lavalin affair closely. Prime Minister Justin Trudeau and his former principal secretary, Gerald Butts, have insisted they exerted no inappropriate pressure on Wilson-Raybould. Trudeau has acknowleged, however, that he asked her to "revisit" her decision to not negotiate a remediation agreement with SNC-Lavalin that would have allowed it to avoid a trial, saying he was concerned about the loss of 9,000 jobs that might follow the company going under. The OECD working group is scheduled to meet in June. Kos said he expects Canada to report to the working group on any new developments in the case at that meeting. "We'll see if there will be a need to do some urgent measures, or simply wait for a phase four evaluation, which will for sure not happen this year," said Kos.